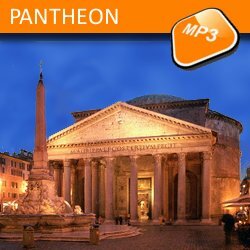 Description: Located in the Piazza della Rotonda, the Pantheon is the most ancient building of Rome and the best preserved in Europe. Initially erected in 27 BC by Marcus Agrippa, son-in-law of Emperor Augustus, was destroyed and later completely rebuilt by Emperor Hadrian, who maintained the old massive inscription at the front celebrating Agrippa. With this tour you will enjoy three of the most famous Roman's squares. Starting from the always crowded Piazza di Spagna, with its monumental flight of steps and Bernini's fountain, moving to Piazza della Rotonda with the most ancient and probably the most fascinating Roman building, The Pantheon.. We will finally reach Campo de' Fiori, a lively square with its daily market, ringed by cafes and bars. If you are a monument lover, this is the tour for you. You will enjoy the history and culture of the most important Roman's monuments, from the Colosseum to the Vittoriano, from the Patheon to the Mouth of Truth and even more!